Introducing the all new TKC 70. Continental customers across the globe have asked for it, they have listened, and now it is finally here being unveiled to the motorcycling world in our own back yard as we write this! The new TKC 70 is designed to sit right in the middle of the more off-road oriented TKC 80 Twinduro and the increasingly popular ContiTrailAttack 2 in the Continental adventure sport range, and is the ideal tyre for big adventure bike riders who do the majority of their riding on the road but still need a tyre that is off-road capable when taken off the beaten track. This week UK brand manager Graham has been doing his very best to hide around 30 big adventure bikes from the public in preparation for the international launch of the all new Continental TKC 70. We have had top journalists from all around the world fly in to the UK in conjunction with our partners at Continental head office in Germany to give our latest on and off-road tyre a try for the very first time here in our own back yard, and the weather in Wales has been ideal! 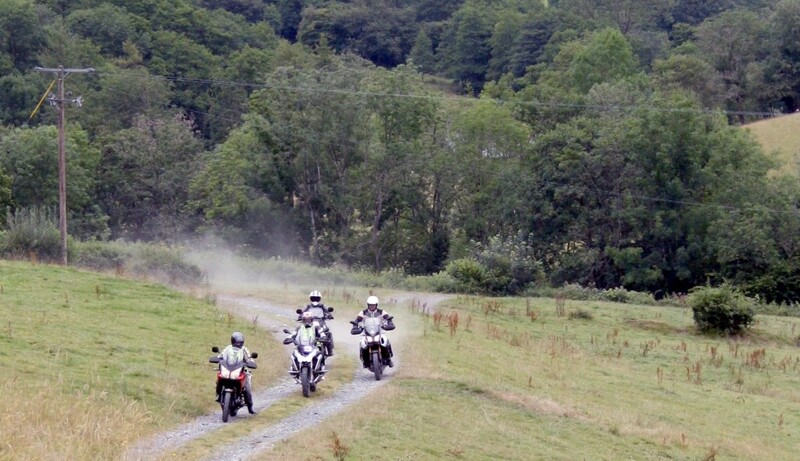 Based out of Lake Vyrnwy near Bala in North Wales, riders have been enjoying the many twisties both in the mountains and out along the coast roads as well as the great trails around Snowdonia. 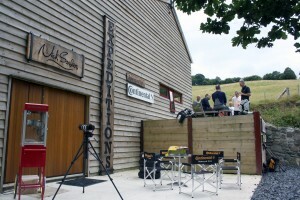 Yesterday we met the very first group to arrive at the Nick Sanders Expedition Centre after a full morning of riding on the likes of the Yamaha XT1200Z Super Tenere and BMW R1200 GS as they threw up clouds of dust on the rutted gravel track which leads up the hillside to the expedition centre. After a warm welcome from Nick and family who were kind enough to host the international press launch, they were inundated with requests to pose for photos within minutes before everyone was led downstairs to Nick’s purpose built cinema for a brief presentation outlining the technologies behind the new tyre. 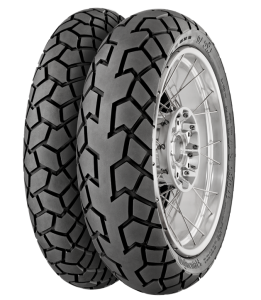 The TKC 70 features a number of core Continental technologies including their zero degree belt, and Multi Grip compound which creates a dual compound style tyre from a single piece of rubber which helps to eliminate the feeling of step that riders encounter as they transition in and out of corners from one compound to another. The TKC 70 profile is self-clearing, and the wide grooves offer excellent drainage. In combination with Continental’s unique Rain Grip compound it offers exceptional wet weather performance, ideal in the UK with our changeable climate! With low level block movement and a small central band on the rear tyre, on-road mileage is increased over the TKC 80 Twinduro whilst also delivering a more comfortable, stable and quiet ride at high speeds. Adopting the carcass construction from the road oriented ContiTrailAttack 2, the new TKC 70 also delivers the light and agile handling you would expect of a road tyre, but it is more than capable off road as we saw at Nick’s place as the journalists arrived! The tyre has been extensively tested in Germany both on the high speed Contidrom test track, and on the autobahns. The first German made radial sizes are currently scheduled to arrive in October, with the remaining sizes currently due in the spring of 2015. See the full range of TKC 70 sizes. TKC 70, TKC 80 Twinduro and ContiTrailAttack 2. The ONLY full range of adventure sport tyres you will ever need, no matter the time of year, or where you want to go to and the route you take to get there….